Israel’s lunar mission crash landed on the moon’s surface after a failure of it’s main engine. The spacecraft called Beresheet, was suppose to conduct experiments and take pictures. The spacecraft had several technical problems during its final descent to the Moon’s surface. Its soft landing was unsuccessful after it lost communication with its ground control. 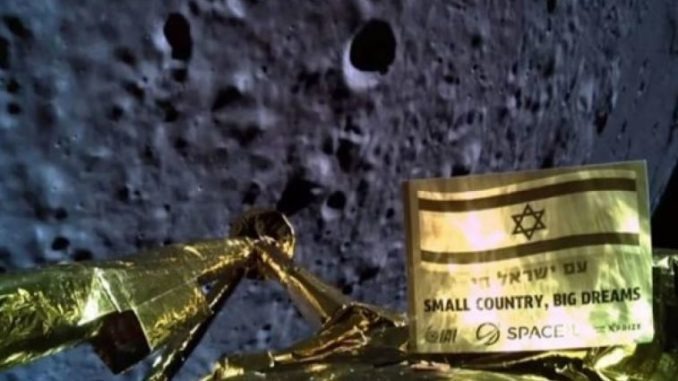 Opher Doron from Israel Aerospace Industries said, “We definitely crashed on the surface of the moon.” The spacecraft was scattered in pieces across the landing site, he added. Beresheet was the size of a washing machine, built by a private firm and state owned space agency. The spacecraft travelled around earth several times, before entering the lunar surface and crashing near the historic Apollo landing site. The Beresheet project cost Israel about US$ 100 million, which is by far the cheapest spacecraft sent to the moon. The nation has already begun work on a second moon mission, the Beresheet 2.